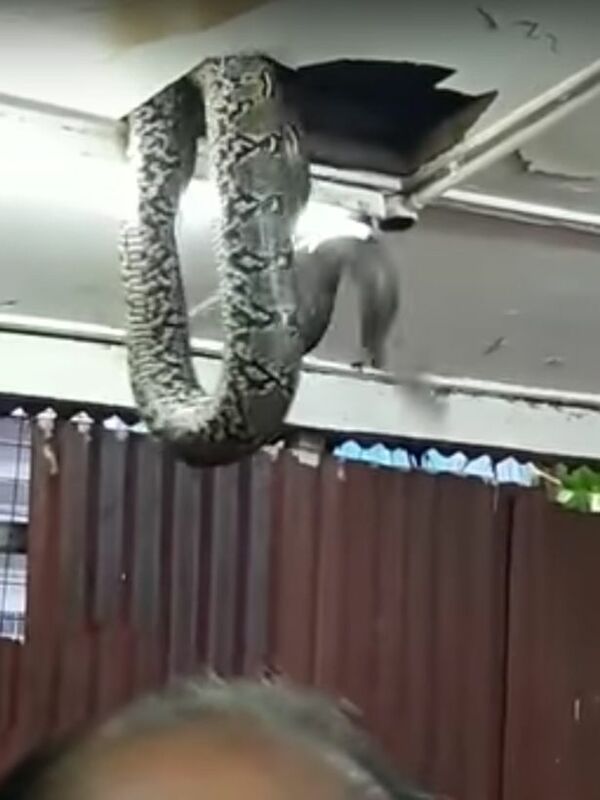 Customers in a restaurant were left terrified after a giant snake suddenly dropped from the ceiling next to where they were eating. 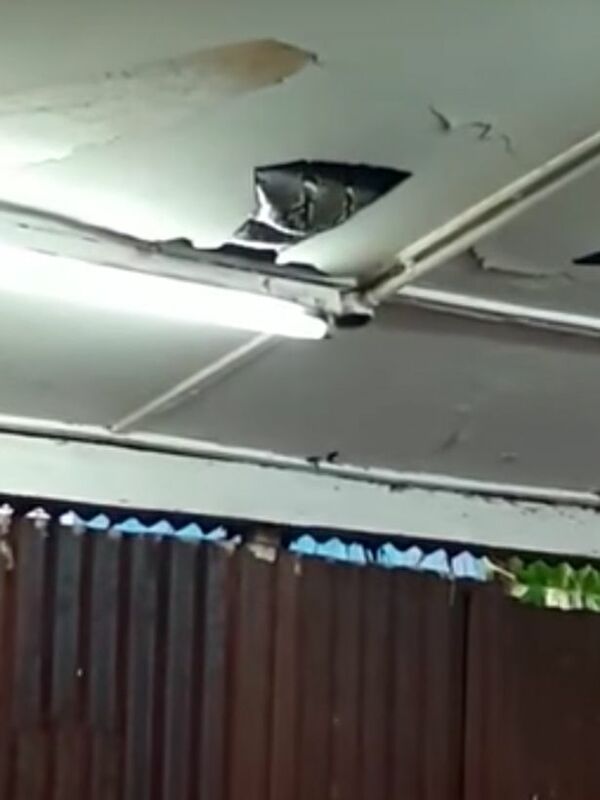 The huge reptile, which appeared to look much like a python, somehow managed to dislodge the tiles in the roof before slithering through the hole. In the footage, diners can be heard chattering nervously in the background as a team of wildlife experts entered the building. They then set about using a metal hook to secure the snake and enabling them to get a grip on its head. The clip has been shared on several video sites in the last day, and already clocked up several thousand views . 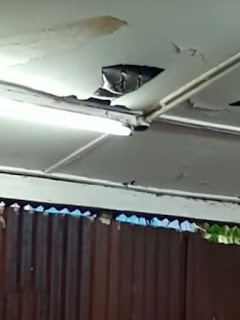 It is not clear where the footage was filmed.